Suppose the unthinkable happened, God forbid, and the State of Israel got eliminated. What then would be the center of Jewish cohesion? I was recently in Florida, where so many of our people live. I saw many of them, retirement age, but making no pretense of staying within the boundaries of Passover eating. These were Jews whose identity is wrapped up in a sense of the privilege of being Jews, who would insist that their grandchildren marry other Jews, and who, of course, are loyal to Israel, as am I. But religious life, well, that was for another time and another place, long ago and far away. But God forbid, if Israel were not here any longer, what would be the center of our Jewish identity, the center of Jewish cohesion? And has the State become so much the center of our Jewish identity that we might find ourselves guilty of “medinolatry,” the exaltation of the State of Israel to supreme status above all other considerations? And here I am talking about a secularized touristy Israel–the Israel that so many of our people know, support, and prefer. In 1997, Elliot Abrams wrote Faith or Fear: How Jews Can Survive in Christian America, in which he considered what causes and concerns have typically bound the Jewish community together as a people. At one time it was commitment to the separation of church and state, and another, the threat of anti-Semitism, and more recently, the Shoah. And now of course, there is commitment to the Jewish state. I am Zionist and committed to Israel personally, religiously, passionately. But what of those Jews here in America for whom Israel has become a fetish, while the covenantal demands of a long ago and far away Judaism are hallowed memories, and no more than that? What if anti-Semitism dies down again (please God) and what if American Jews become secure that the wall between Church and State is secure. 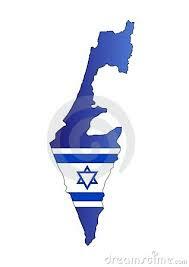 And what if the State of Israel were no more? What would there be to bind us together as a people, and what would be the legacy we would pass on to our children? So, with many Jewish Yeshua believers indifferent to or ambivalent about what they have learned to call “rabbinic Judaism,” what strong core is left to bind them to other Jews as a people, a core they can entrust to their children? Many people of my generation are living on second-hand Jewish memories, having been raised by parents who were raised in religious homes. But the further we get away from Jewish ritualized intentionality, the more that memory fades, and there are too many children being raised now by Jewish believers in Yeshua now who really have no affective and covenantal Jewish memories that connect them to the Jewish people and the Jewish past, other than some meetings their parents drag them to once a week, where very often, what passed for Judaism would not pass the smell test for any other Jews and would be perceived an outrageous side-show by our ancestors. So that brings us to the question: If we leave off living a life of Torah and Mitzvot in common with other Jews across time and not simply in our own idiosyncratic ways, are we willing to accept the responsibility for thereby having weakened the cohesion and survival of the Jewish community? To put it another way, what has taken the place in our lives formlerly occupied by absolute trust in and obedient loyalty to the God of our ancestors, honoring Him in the ways to which we have been committed as a people? What has taken the place of Jewish covenantal living? And whatever it is, no matter how good, hasn’t that become for us an idol? Some time soon I will look at the flip side of this issue, the danger that comfortable Jews in America might lose sight of how crucial the State of Israel is to the survival of our people, or even be indifferent to it. The covenants came first. Accordingly, do not “the orthodox” look to the covenants first, which is why there can be Zionist and not-Zionist Orthodox Jews in confident communities that grow in numbers. Same goes for “conservative Christians–whether Properly Dispensational or fuzzy-headed contrary-wise (;->). David “Spengler” Goldman points to this demographic truth in his book, “How Civilizations Die”, i.e. that Israel and America are alone among advanced nations in NOT shrinking in population, because: their believers. I’m not Jewish and do see myself incompetent to advise Messianic Jews how to simultaneously participate both in the Abrahamic covenant and the new covenant (or rebuild the Temple, etc., is ‘trying’ necessary?). Good Hevvins’, God is faithful! Prosper, multiply and look for His coming ! Yes, J. Fred! The covenants came first. And yes, God will be faithful to His people. But there are consequences to our not being faithful to Him, and the Bible teaches this from start to finish. One finds this dialectic between God’s faithfulness, and the need to judge and discipline His people, even casting them out of His Land, because of their (actually, our) unfaitfulness. So you are right . . . however, the problem today, even for Jews in the Land, and CERTAINLY among too many Jews here in America, and VERY certainly among Jews in the missions and Messianic Movements is that we have forgotten that we are a covenant people obliged to obey the covenant God made with our ancestors and they with Him. People think of being Jewish as a personal statement: “I am Jewish.” It is NOT. It is a covenantal statement: “I am part of that covenant people called the Jews.” This covenant entails responsibiities to God, to each other, to our past and our future. But we are living in the midst of people, dispensationalized Jews, individualistic assumptions, post-Torah Jews of every ilk, who substitute personalism for covenantal identity and who either forget or deny these covenantal realities. The danger in your comment is one that we encounter in Jeremiah seven. The people were facing impending exile for their covenant indifference and disobedience, but they denied this on ersatz covenantal grounds: that God was bound to them by covenant, “The Temple of the LORD! The Temple of the LORD” they cried, while ignoring the other half of covenant reality: that we must strive to be faithful to the covenant. The population of the US is growing due to immigration, and immigrants have higher birthrates. Israel’s population is growing also due to immigration, both legal and illegal, as well as the religious sector has a higher birthrate, and according to my understanding, family life and marriage/child-rearing are highly valued among the secular population also. If your opening question about the elimination of Israel were to be realized (‘has v’shalom! ), I would likely be eliminated also, since Israel is my home, hence I’m not sure that I, as a dead Jew among more than 6 million others, could really express any meaningful opinion about either this second Holocaust or how any survivors might conduct themselves. As Charles Schulz once had his character Linus exclaim: “Why, the theological implications alone are staggering!”. However, I understand your purpose in invoking the question and reminding your readers that Jews had to survive as a people for some 18 centuries of exile from the Roman expulsion after the failed Bar-Kochva revolt until the modern declaration and international ratification of Israel as a state. The only means available for preserving Jewish civilization under forced nomadic conditions was adherence to the Torah covenant and the cultural praxis by which that was expressed. It is, of course, still the only means of preserving it, and necessary to its restoration even under stable, secure, settled conditions within Israel (the achievement of which is still a work in progress!). Obviously this applies even more surely to Jewish communities still residing in the galut. Jews who ignore this lesson of history are setting themselves up to relearn (by devastating experience) an even older historical lesson that was demonstrated by the Assyrians upon the northern kingdom of Israel a century prior to the first exile to Babylon (from the southern kingdom of Judah). Such Jews (especially MJs) really should know better than those who merely ignored the ancient prophets, having much more information to draw upon, from far too many examples in Jewish history since that time. For one, it is inaccurate to claim that America is Christian, unless one lives in an evangelical stronghold, which few Jews do. The more useful question to ask is, “How will Jews survive in secular America?” According to my understanding of scripture, I don’t have any worries of Israel disappearing; it is the nations that are going to disappear. My take is that antisemitism will increase worldwide causing all Jews to return to the land. If I have this wrong, what can I say? The Jewish people survived for nearly 2,000 years without a land to call our own, and I believe by divine providence. The human methodology that assisted in carrying this out is not unimportant, but we can give it too much credence, as if by human plans one can discover the formula to recreate the works of heaven. Since the Holy One is the stronger covenant partner, the fulfillment of the covenant does not rest upon our faithfulness, but upon the character and ability of the initiator.